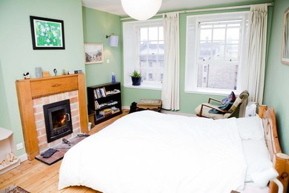 This Edinburgh apartment near the Royal Mile is listed for $123 per night on iStopOver.com. Who says real estate is dead? The home-stay phenomenon that started gaining traction a few years ago has exploded into an $85-billion industry. One of the players to watch in this space is Toronto-based iStopOver.com, co-founded by Chairman Mark Skapinker and CEO Anthony Lipschitz.